Refinancing your commercial property can be an attractive way to fund the needs of your growing business, or get extra liquidity, for the following three reasons. Refinancing a commercial property may allow business owners to enjoy savings of upwards of $10,000 (depending on the size of the loan). For new and refinancing customers, most banks offer a 3-year promotional low-interest rate period. On the other hand, some fees (lawyer, valuation, facility and fire insurance fees) may also be waived by smaller and more aggressive financial institutions. We strongly recommend planning in advance as requesting changes (or refinancing) to the loan during the “lock-in period” will usually trigger a penalty fee. Lastly, business owners who are not proactive in monitoring and managing their loans may end up with much higher interest rates (e.g. Prime Lending Rates) once the promotional period ends. Growing money will be easier than this. In the experience of some business owners, the hassle of property loan refinancing may outweigh its cost savings. However, by making slight adjustments, business owners can maximize the value of their properties to obtain other facilities like additional trade credit lines or working capital loans, which they might not be eligible for on an unsecured or clean basis. An aggressive bank or financial institution may even provide positive leveraging, where additional credit limits approved are higher than the commercial property value. Refinancing your property loan may also be attreactive if the property value has appreciated from the time you have first taken the loan. For the same Loan-to-Value (LTV) ratio, refinancing a property loan at a higher property value will allow business owners to unlock a higher loan amount which can be deployed to more productive uses. Imagine sing dollars. no, really imagine. For the benefits described above, it may be worthwhile to endure the hassle in refinancing your commercial property as it can be a very powerful tool in your business pursuits. 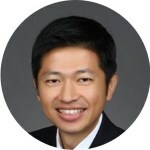 Collin Cheong is a 15-year veteran banker and is currently the Head of Business Development in IFS Capital Singapore. An endurance athlete, Collin has completed more than 10 ultra trail marathons around the world.